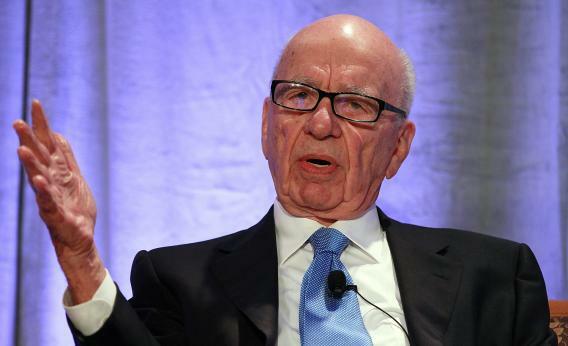 Murdoch deal is a non-core disposal - not a split. From the point of view of shareholders, Murdoch’s deal detaching Printco amounts to little more than the disposal of a non-core asset. After Brangelina or bananas split, two more or less equal halves remain. To suggest that News Corp is doing anything similar with its plan to hive off the print publishing businesses sounds more like wishful journalistic thinking than clear arithmetic. The Printco’s value amounts to less than 6 percent of the media conglomerate’s market value. The newly spun-out publisher may punch above its weight in influence, what with the Wall Street Journal, Times of London, New York Post, The Australian and HarperCollins book publisher stuffed into its portfolio. And from a public relations perspective, these have been the activities - specifically the UK newspapers - that have generated all of the mostly nefarious headlines for News Corp and its 81-year old owner Rupert Murdoch over the past year. But from the point of view of shareholders, detaching Printco amounts to little more than the disposal of a non-core asset. The business, which Nomura calls “Bad News,” will produce net income of about $362 million in the coming fiscal year. That’s just around 11 percent of the profit Nomura anticipates from the core entertainment business, which includes the Fox broadcast and cable networks, satellite television and 20th Century Fox film studio. That still overstates Printco’s importance in value terms. From 2011 to 2014, the company’s compound annual growth rate in net income will be a negative 21 percent, Nomura reckons. Fold in the overhang of legal liabilities from the phone-hacking scandal and it’s hard to see how investors could value those earnings at more than eight times, or around $2.9 billion, little more than half what News Corp paid for the Journal’s parent company, Dow Jones. Relative to the empire’s $53.4 billion market capitalization, Printco amounts to about 5.4 percent of the total value. Since Murdoch’s plan to separate the business emerged earlier this week, investors have ascribed nearly $5 billion of additional value. That’s not because they see value in “splitting” News Corp. It’s appreciation for the overdue jettisoning of an unwanted liability.